With multiple advances in critical care, more patients are given the chance to survive life-threatening illnesses such as sepsis. This growing cohort of patients, however, grapples with a new challenge – post-intensive care syndrome (PICS). A raft of symptoms, including muscle weakness, depression, anxiety, and posttraumatic stress disorder (PTSD), makes it difficult for patients with PICS to resume their prehospitalisation lives. As the condition is increasingly recognised, the number of clinics devoted to helping patients with PICS recover is also on the rise. One of these dedicated clinics is the Critical Illness Recovery Center (CIRC) at the University of Pittsburgh Medical Center. “There's a sense of responsibility that we should carry through the continuum of care that starts in the ICU through the outpatient setting to get the patient on the right path of recovery to help them find their former self,” said Brad Butcher, MD, medical director at CIRC. The clinic was launched two years ago by Dr. Butcher together with an interdisciplinary team of colleagues. The rate of cognitive impairment was 88 percent among the first cohort of patients at the Eskenazi Critical Care Recovery Center at Indiana University, one of the first in the U.S. when it opened in 2011. Moreover, about 60% of patients experienced depression, according to a study by Babar Khan, MD, medical director of the clinic and colleagues. Depression has been shown to limit patients' ability to engage in rehabilitation, among other physical and social activities. Although the organisation of post-ICU clinics may vary at different hospitals, these clinics share a commitment to improve patients' quality of life and provide one-stop shopping for multidisciplinary care. “The goal is not necessarily to fully improve the functioning of these patients because sometimes they can't fully improve but to help them find a way to thrive within the context of their limitations,” said James Jackson, PsyD, assistant director of the ICU Recovery Center at Vanderbilt, which opened in 2012. At the outset, it's important to identify the patient’s priorities for recovery and help them set realistic goals. For some that may mean developing a plan that will allow them to stay at home and avoid future hospitalisations, for others it means building up the stamina to return to work a few days a week. At Vanderbilt, an initial consultation may include an intensivist, pharmacist, nurse, psychologist, and caseworker. They start by addressing residual issues remaining after their stay in the ICU, such as weaning them off medications. Often, the care team prescribes cognitive exercises that patients can do at home. In addition, Jackson said, the clinic helps arrange and expedite visits to specialists or therapists and connect them with community resources. Twenty-one of these clinics in the United States and around the world have banded together through the Society for Critical Care Medicine’s THRIVE collaborative to share expertise and build an evidence base to help improve PICS care. The ultimate goal of the THRIVE collaborative is to identify the best interventions and care models for patients with PICS through multicentre trials and to seek grants to fund such research. At present, the group has an ongoing qualitative study to learn about patients’ and families’ post-ICU experiences and their interactions with THRIVE clinics. 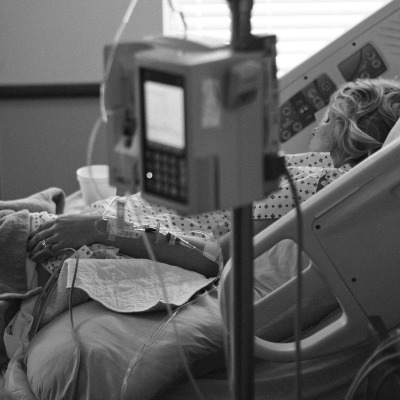 It is common knowledge that families of ICU survivors also struggle after their loved one’s discharge. As the patient's loved ones cope with their new role as a caregiver, they may experience sleep deprivation, anxiety, depression, PTSD, or complicated grief. Given the small number of post-ICU clinics, Dr. Butcher noted, the bulk of the care of patients with PICS will likely fall to primary care physicians. He said he and his colleagues often partner with primary care physicians, allowing the primary care clinician to continue to oversee their patient’s medications and chronic conditions, while reducing the burden of guiding rehabilitation. The post-ICU clinics also are becoming a place to receive ongoing peer support for both patients and their families. For example, Vanderbilt has been running peer groups for several years for ICU survivors.